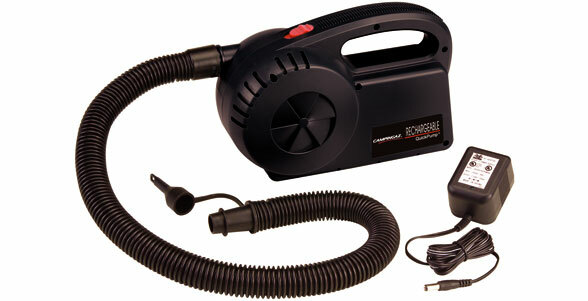 An extra powerful, electric pump, ideal for quick and easy inflation and deflation at home or when out and about. Its rechargeable design makes it ideal for use outdoors and the pump comes with several adaptor nozzles for increased flexibility. The pump also comes with a handy carry bag for easy storage and transportation.